cnbShin 과 바이두 이정신바가 생일 기부에 함께 참여하였습니다. 아가 수건 큰 것과 아가 수건 작은 것, 소방대피복, 봉사자 가운을 전달하였습니다. 수건과 봉사자 가운에는 happyJungshinDay27 친필을 수놓았습니다. 아가 수건은 영아원의 요청으로 노란색과 연두색으로 준비했습니다. 해피정신 친구들의 축하 작품과 축하 메세지를 모아 책으로 만들었습니다. 종이에 글씨를 쓰거나 그림을 그리면 바로 디지털 기기로 전송되는 노트입니다. 올해는 몽블랑이 유니세프와 콜라보하여 판매금의 일정액이 유니세프로 기부된다고 합니다. happyJungshinDay27 과 "늘 감사합니다" 싸인을 넣어서 만들었습니다. 이정신이 사용할 수건은 크림색으로 HppyJungshinDay27 을 수놓아 전달했습니다. 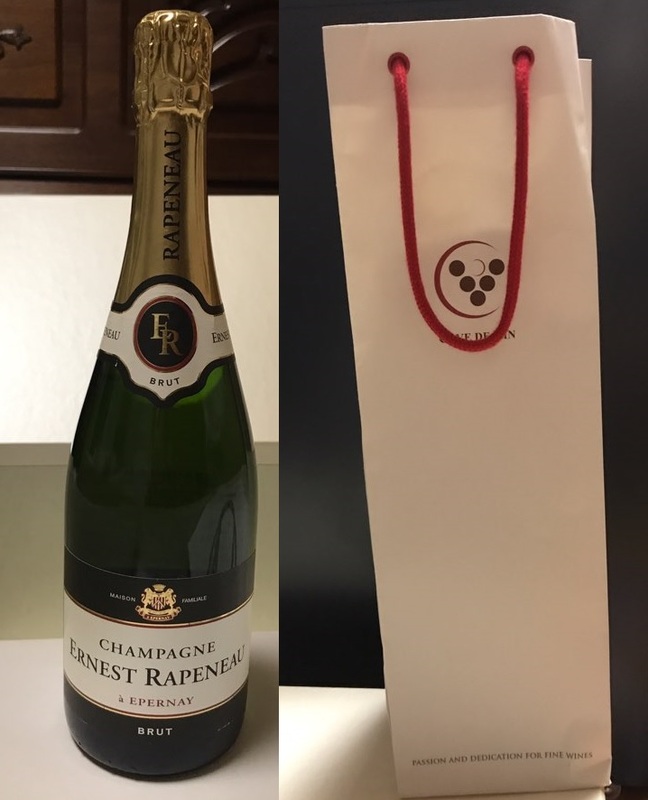 생일 파티에 사용하면 좋을 프랑스 전통 샴페인 champagne ernest rapeneau입니다. 소고기는 못 보내고 늦게 받아도 변질 우려가 없는 샴페인만 보냈습니다. 라프레리 캐비아 에센스 인 로션을 선물로 전했습니다. 해피정신 친구들과 cnbShin, 바이두이정신바가 함께 하였습니다. 이정신의 27살 생일을 축하해준 전세계 친구들 정말 감사합니다. In order to celebrate HappyJungshinDay27, we have delivered a donation to the nursery center in Seoul and have sent gifts to Jungshin. We have checked with the nursery center about their needs in advance and then delivered the baby towels, mini towels, fire hoods and volunteer gowns to the nursery center. HappyJungshinDay27 logo has been printed on the towels and volunteer gowns. As per nursery request, towels of yellow and light green have been prepared. 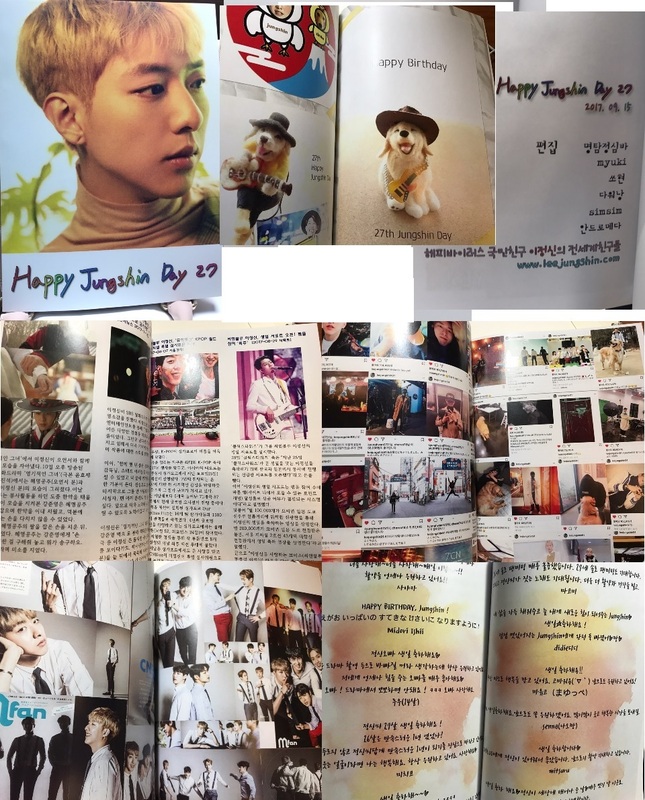 All Jungshin activities, fans collections and birthday messages dated from September 15th, 2016 to September 10, 2017 have been included in the photo book. This is a notebook that can digitalized letters and illustrations written on paper. 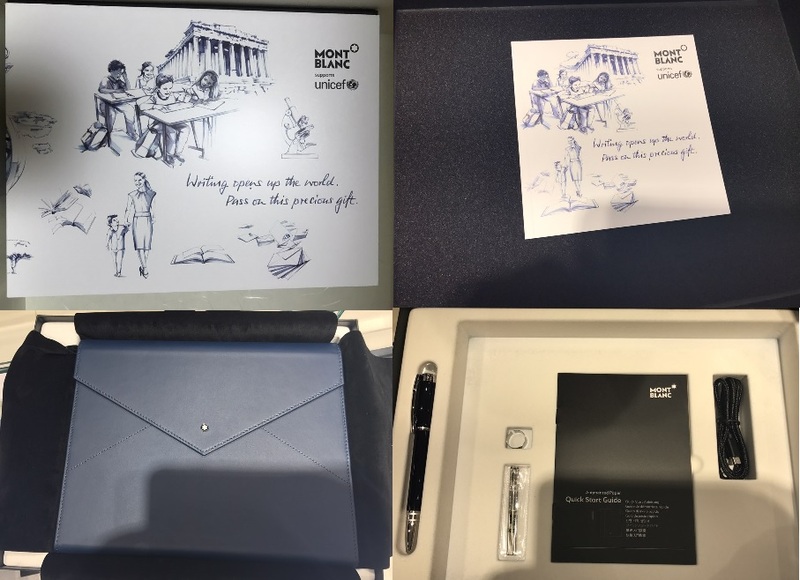 This year Montblanc collaborated with UNICEF on producing this product for donation to UNICEF. The limited edition with blue color has been sent to Jungshin. 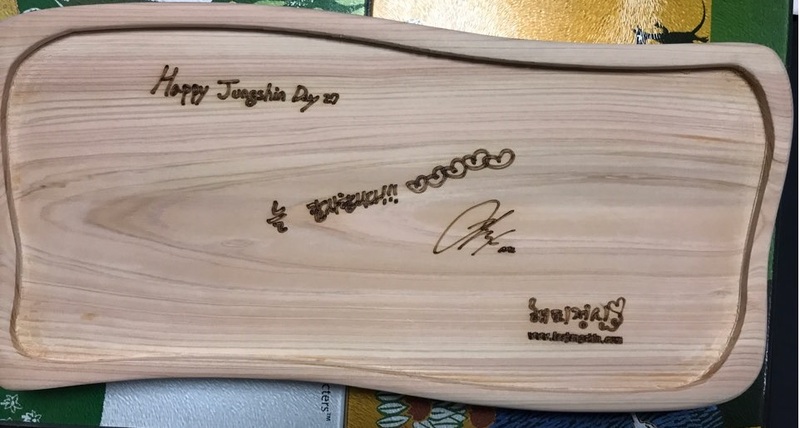 The words "HappyJungshinDay27" and "Thank you" have been printed on this wooden tray which represented as health. As a souvenir, we have sent the same set of towels for nursery center but in creamy white color to Jungshin. A French traditional champagne named Champagne Ernestau has been sent to Jungshin. It was planned to give Jungshin his favorite beef with champagne, but as the company requested not to send food, only bottle of champagne has been prepared as gift. 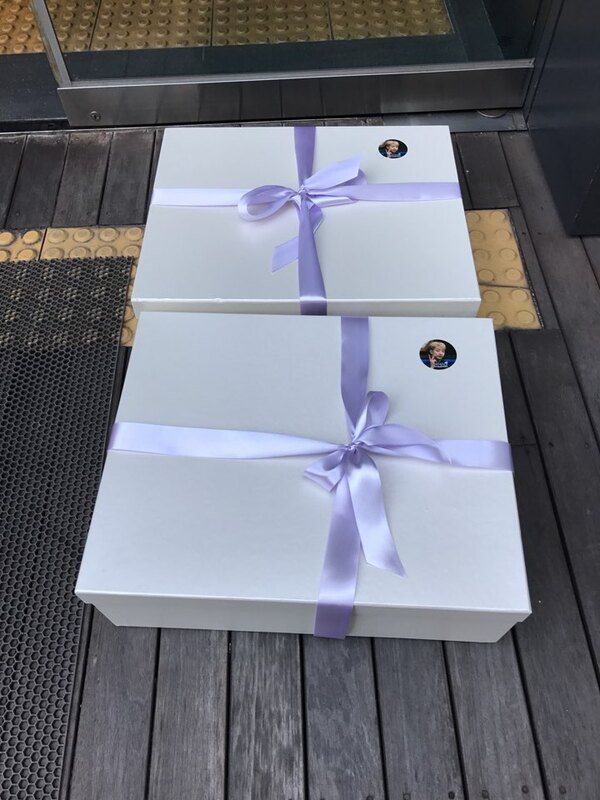 A gift of "La Prairie" lotion set has been sent to Jungshin's mother in order to thank her gave birth to Jungshin. HappyJungshin with HappyJungshin's friends cnbShins and Baidu JungShin Bar are celebrating this big day together. Thank you very much for fans from all of the world to celebrate Jungshin's 27 year old birthday.